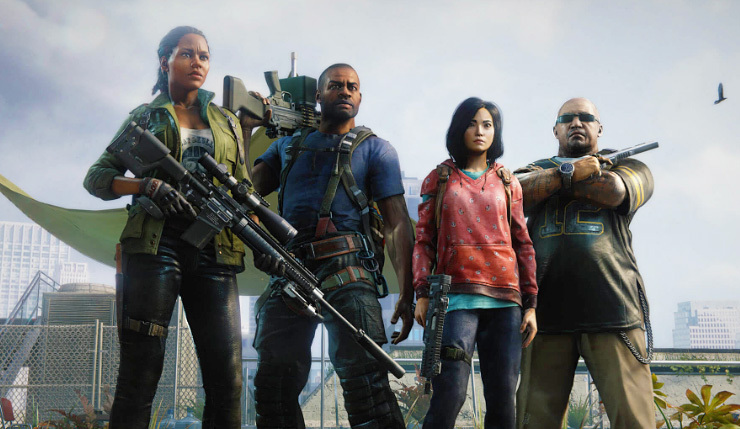 World War Z will finally be set loose next week, and Saber Interactive have released a launch trailer for the co-op zombie shooter. The trailer provides a nice look at some of the game’s characters, four locations (New York, Moscow, Jerusalem, and Tokyo), and, of course, plenty of exploding zombies. All the action is set to a modern cover of “War,” which is an, uh, interesting musical choice. At least it’s better than “Boom” by P.O.D. You can check out the trailer, below. Powered by Saber’s dynamic Swarm Engine, World War Z unleashes hundreds of fast-moving, bloodthirsty zombies – able to move as one collective horde as well as break off as individuals units – at a time on players. Choose from six distinct classes and an arsenal of deadly weapons, explosives, turrets and traps. Outlive the dead through intense four-player co-op campaign missions around the world, and battle both zombies and human opponents in competitive, team-based Players vs. Players vs. Zombies multiplayer. I’ve had a chance to go hands-on with World War Z, and trust me, the game is surprisingly fun. If you’ve got a few extra minutes, you can get additional info about World War Z’s zombie types, ties to the movies, and more in Wccftech’s full interview. Saber Interactive also recently unveiled a surprise fourth location for the game, Tokyo, which you can learn more about, right here. World War Z shambles onto PC, Xbox One, and PS4 on April 16. What do you think? Will you be signing up for this particular war?